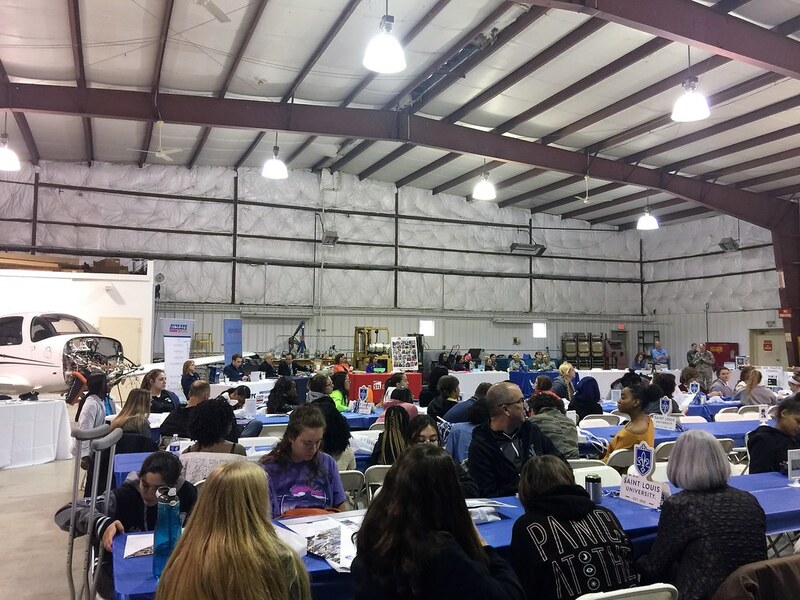 More than 100 young women from 15 bi-state area high schools learned about future careers in aviation as they participated in the first ever Girls in Aviation Day on October 12 at St. Louis Downtown Airport in Cahokia, Ill. The teenagers who are in grades 9 through 12 flew planes in high-tech simulators and climbed into the cockpits of various aircraft for an overview of the instrumentation. 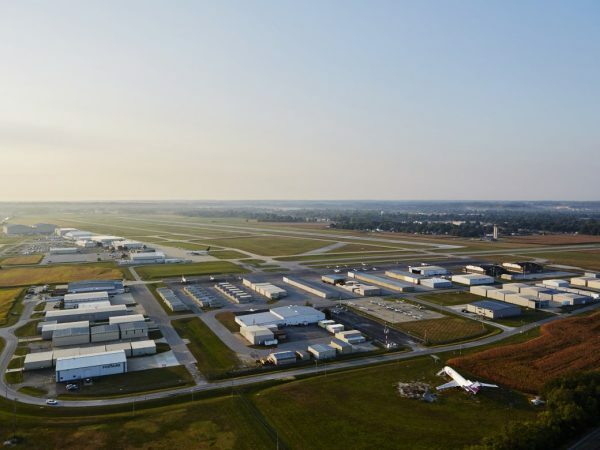 Saint Louis University’s Parks College of Engineering, Aviation and Technology, in partnership with Women in Aviation International (WAI), hosted the first of what they now hope will be an annual event at the airport which is located near downtown St. Louis. In addition to the hands-on activities, the event featured a career expo, where the students had the opportunity to talk with representatives from more than a dozen companies and organizations in the aviation industry about various job opportunities and the paths to take to secure those types of positions. 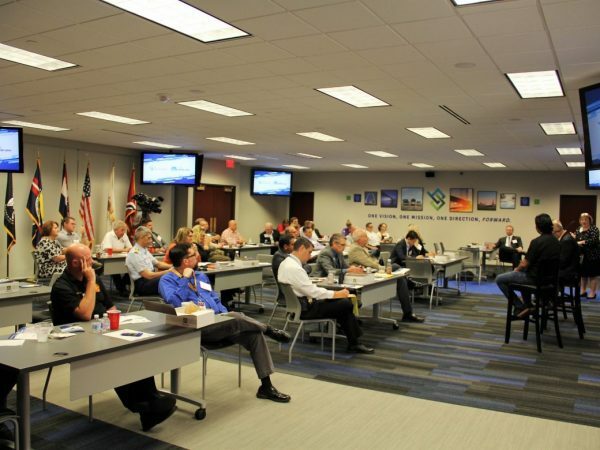 AeroNav Data, Republic Airline, Cirrus Aircraft, Ideal Aviation, Take Flight Girls, Inc, The United States Air Force, The Greater St. Louis Business Aviation Association and AVMATS were among the companies and organizations participating. Makayla Best, 16, a junior at O’Fallon Township High School, was among the first to get time in one of the flight simulators. She found the experience exhilarating as she flew the plane from the Missouri side of the river over into Illinois, hoping to spot her home as she followed a flight path taking her toward Scott Air Force Base. “After that experience, it was so fun, I really need to put more time into exploring aviation as a career,” Makayla said. She and her mother spent the next couple of hours doing just that, visiting several booths at the expo to ask questions and gather more information. Marisa Warren, 17, a senior at Incarnate Word Academy, got to climb up into the cockpit of a Cirrus SR20, while her mother looked on. The goal of events like Girls in Aviation is to introduce more young women to the field of aviation, where there is currently tremendous demand for pilots, engineers and various other positions. Over the past two decades, WAI reports the number of women involved in the aviation industry has steadily increased and women can now be found in nearly every aviation occupation, however, the numbers are small by comparison. Women pilots, for example, represent only six percent of the total pilot population, underscoring the potential opportunities that exist for more women to enter the field. To help bring those opportunities to life for the students, the event featured Captain Stephanie Johnson. In 1997, she became Northwest’s first African-American female pilot (before that airline was acquired by Delta Airlines) and went on to become Delta’s first African-American female captain in 2016. She told the young women how she has always been interested in airplanes, and in high school, convinced her physics teacher, who had an airplane, to take her on a flight. 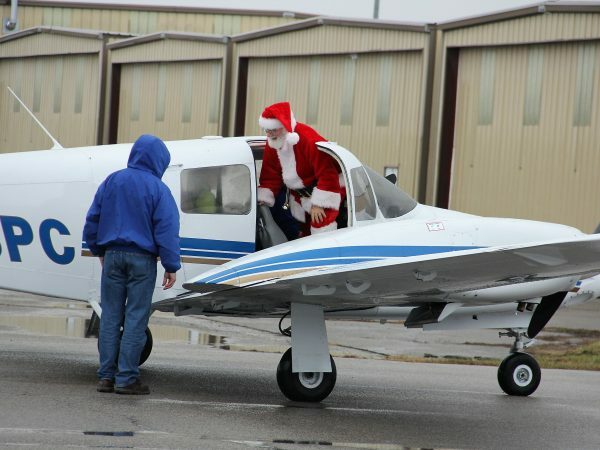 He agreed only if she rustled up two friends to tag along and they all chipped in a little money for fuel for the plane. She went on to talk about her career path that included earning her flight instructors certificate and getting to teach in various places, while she worked a second job at Blockbuster video to help pay off her student debts. She soon got hired as a back up co-pilot for a charter company, where her unpredictable schedule had her flying golf enthusiasts to Augusta for the Master’s Tournament or taking doctors from the Cleveland Clinic to pick up organs for transplant. Her goal, however, was to pilot for a commercial airline, and a lifestyle where she could have a more regular schedule and benefits. That led her to Northwest Airlines and her current role with Delta Airlines. While her career put her in the cockpit as a pilot, she also underscored for the students that career opportunities go far beyond that, with a need for aircraft managers, mechanics, flight controllers, engineers, dispatchers and more. “Even the lawyers get the travel benefits,” she joked. A panel discussion with current aviation students and flight instructors gave the students an opportunity to hear from other young women who were in the early stages of or embarking on a variety of careers in the aviation industry. They encouraged the students who were interested to take a couple of discovery flights to see if it ignited their passion, find mentors to network with, and to do really well in high school and to make sure to take well-rounded classes because of the many options available in the field. St. Louis Downtown Airport Director Erick Dahl was pleased to see such a great turn out for the event. “It’s always good to have educational events here at the airport and to able to help spread STEM education to a broader audience,” said Dahl. St. Louis Downtown Airport is the longtime home of Parks College. Participating schools with students at Girls in Aviation Day included Hazelwood West High School, Incarnate Word Academy, O’Fallon Township High School, Parkway North High School, Parkway South High School, St. Dominic High School, Westminster Christian Academy, Alton High School, Francis Howell High School, McCluer North High School, Mehlville High School, Oakville High School and Villa Duchesne. Additional girls came with their Girl Scouts leader and a couple of others who are homeschooled also participated. 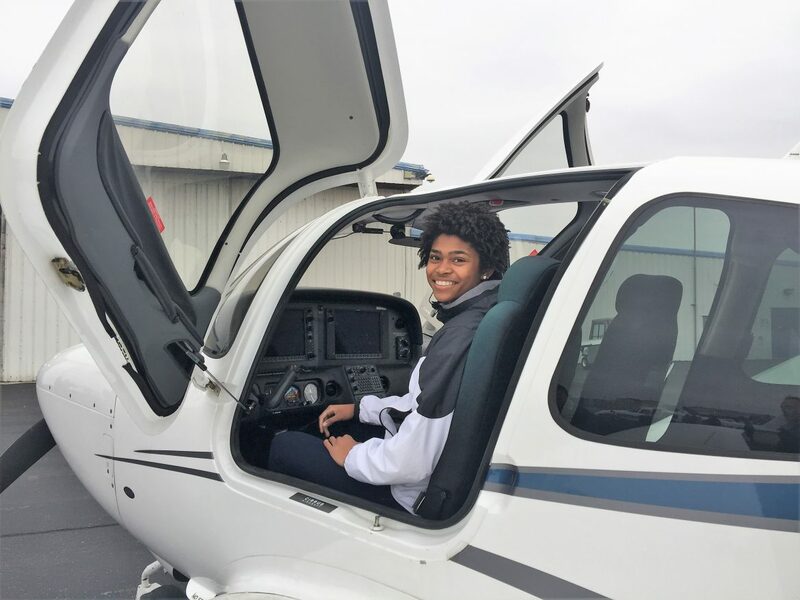 To learn more about Girls in Aviation or opportunities to participate in future events, contact Rachel Rimmerman at Saint Louis University’s Parks College of Engineering, Aviation and Technology.